For those interested in supporting Princess Alethea on Patreon, I have rejiggered my page — the monthly pledge is not just for Fairy Tale Rants anymore, it’s for EVERYTHING I WRITE. 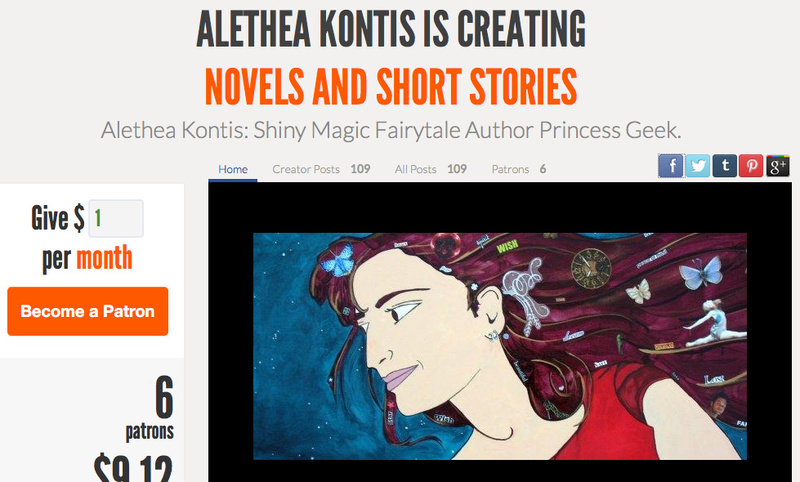 Support Princess Alethea on Patreon! This entry was written by Princess Alethea and posted on February 29, 2016 at 11:49 am and filed under writing. Bookmark the permalink. Follow any comments here with the RSS feed for this post.